Do you have waxed cord bracelet? Then why do not you make your own simple multi strands waxed cord Tibetan charm bracelet with following this Pandahall tutorial. 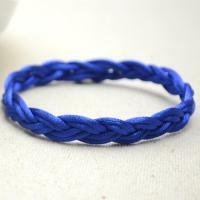 Do you like cool braided bracelet? Then follow me to check this Pandahall tutorial on how to make wide coffee polyester cord braided bracelet with glass beads. Looking for bracelets for lovers? 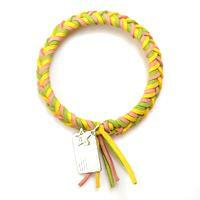 The pink and light cyan cord and golden chain bracelets may be a good choice for you. Hope you like them. Does your boyfriend like to wear DIY leather cord bracelet? 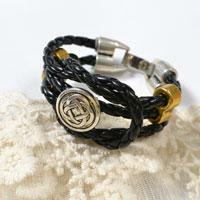 If yes, he may love this black leather cord bracelet. 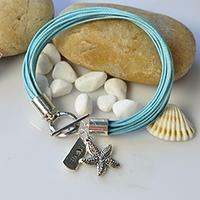 It's very easy to make this leather cord bracelet. Let's see how. Wanna send a unique gift to your boyfriend? 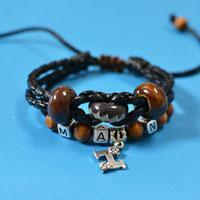 In this Pandahall tutorial, you can learn how to make a black cord braided bracelet for boyfriend. 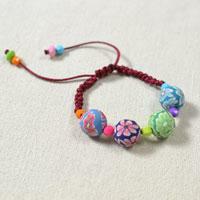 This simple Pandahall tutorial will show you how to make a handmade braided cord bracelet with polymer clay beads. Hope you like it. 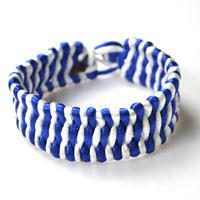 Want to make a single braided bracelet? Well, today’s jewelry making tutorial will totally share you about how to make a single braided bracelet. Hope you will like it! Look for pony bead bracelet patterns? Today, this tutorial is entirely about how to make a bracelet with pony beads. It will be a surprise gift for your friend. Hope you will like it! 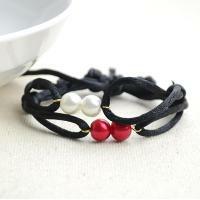 How to make a double wave friendship bracelet? 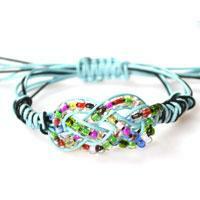 Here I will teach you a new double wave friendship bracelet pattern. 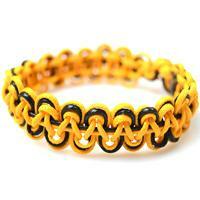 Look for friendship bracelet patterns for guys? 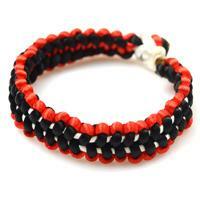 Today, I will share you how to make friendship bracelets for guys. It will be a good present for your boyfriend. Hope you will like it! 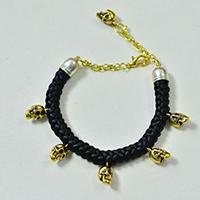 Here I will teach you how to make square knot bracelet, follow me to diy square knot bracelet now. 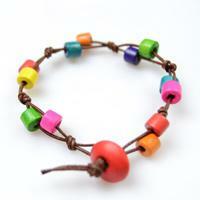 This tutorial is aimed at how to make wood bead bracelet, follow me to diy a wooden beads bracelet now. 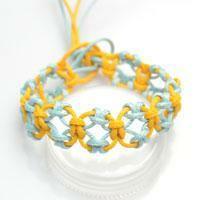 This tutorial is about tying a sailor knot friendship bracelet with only one rope. And you will need the help of a plastic cylinder to finish it. Here we go! 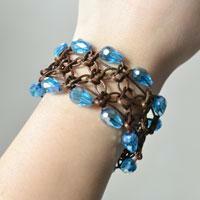 This easy macramé bracelet project is specially designed for those who never try making jewelry by hands. Hope you‘ll enjoy it! 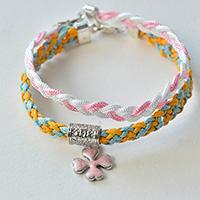 In this easy bracelet tutorial, you will be taught how to knit a friendship bracelet with lark’s knots. 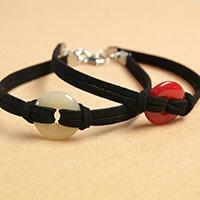 This idea is just a simple way to DIY friendship bracelet. 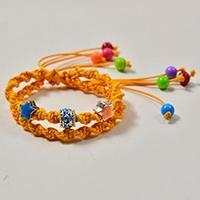 How to make easy friendship bracelets for beginners? In this tutorial, with inches of thread and 3 beads, you can make a simple friendship string bracelet within 20 minutes!